Dorsal orthosis made of formαble aluminium frame supported by metallic parts. It is lined with soft foam. 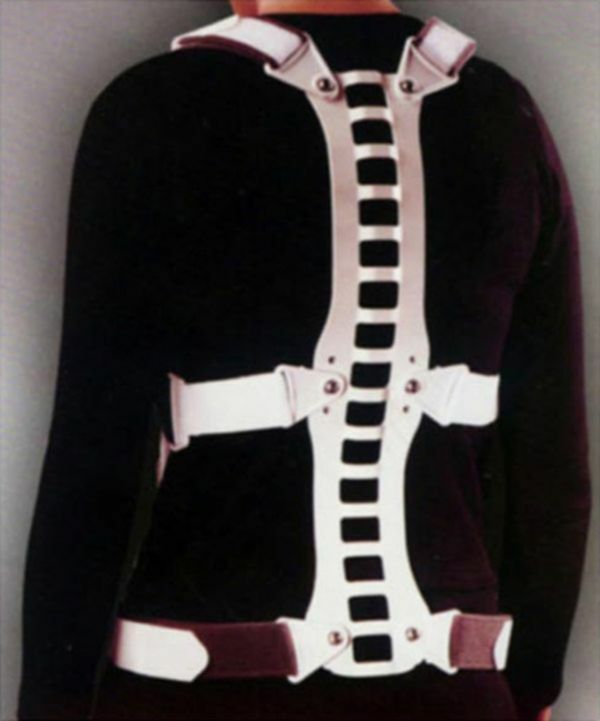 The orthosis is equipped with two stable straps that pass under the armpits and put pressure to the shoulders. Indications: Rehabilitation and prevention of osteoporosis fractures of the thoracic and lumbar area of the spine, kyphosis.